Margot Wendice: Do you really believe in the perfect murder? Mark Halliday: Yes, absolutely. On paper, that is. And I think I could plan one out better than most people, but I doubt I could carry it out. Mark Halliday: Well, because in stories things usually turn out the way the author wants them to, and in real life they don’t ... always. Everyone is always so polite in old movies. Amazingly enough, this is even true when they are lying right to your face or say, plotting your demise to collect your fortune. This is what makes Alfred Hitchcock’s DIAL M FOR MURDER so deliciously devious. The characters on screen have no idea what is going on in the minds of the people standing right in front of them, while we the audience, just watch and wait to see what they can all get away with and for just how long they can do so. And Hitchcock, being the genius that he is, makes us privy to everyone’s dirty little secrets and before we know it, we are practically complicit in the crime itself. Frederick Knott adapts his own stage play for the screen and Hitchcock takes the dialogue heavy, location light work and transforms it into an incredibly tense experience that constantly keeps the audience guessing. 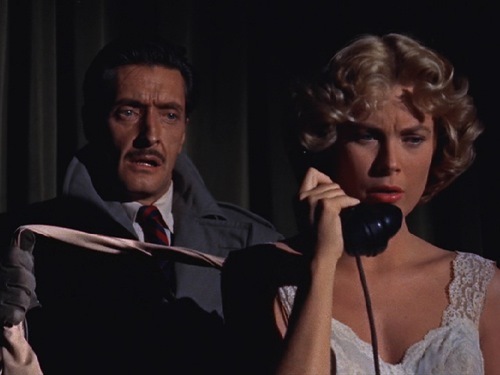 The whole ordeal begins with Mark and Margot (Robert Cummings and Grace Kelly), lovers reunited after a lengthy time apart. She reveals to him that her husband has changed recently, as though he is a new man with a new appreciation for life and for her. This puts a bit of a wrench in their plans to be together. She needn’t have worried though. Her husband, Tony (Ray Milland), hasn’t warmed to her at all. In fact, he plans to do away with her and have his way with her money. And he’s got the whole thing figured out too, every tiny little detail. There’s just one thing he hasn’t considered and that is that life rarely lets everything go according to plan just so. 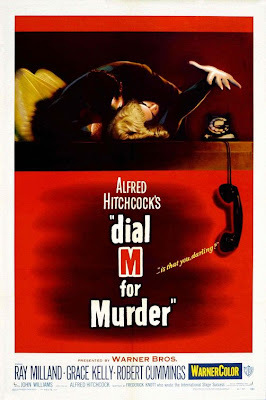 Hitchcock originally shot DIAL M FOR MURDER in 3D, which would explain all the objects carefully placed in the foreground scattered throughout the film. 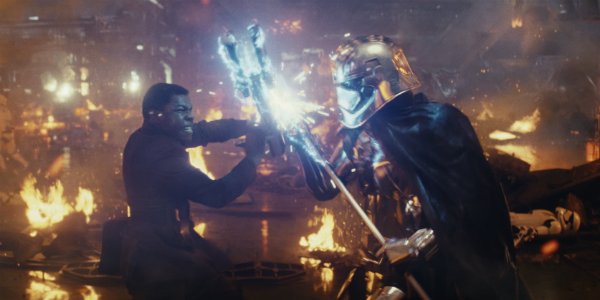 By the time the film was released in theatres though, audiences had already tired of the fad and so it was mostly released in 2D. Now that 3D has returned to favour, the film has been rereleased in its original incarnation in select theatres and on Blu-ray 3D. It is a genuine treat to gain insight into how a movie making master dealt with the third dimension way back in the day. His usage is unobtrusive, and arguably unnecessary, but it never detracts from the brilliance taking place on screen. DIAL M FOR MURDER is duplicitous and deceitful and simply a delight for fans of murder and mayhem.